SERIA YAG laser mask "ULTIMA"
Don't you have such experience? 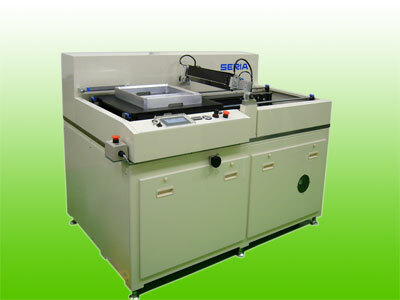 If the expected printing result is never obtained and inquired to printing machine manufacturer, a replay indicated defects of stencils and if consulted to screen manufacturer, responded as the screen printer's capability problem. Printing machine supplier is handling only printing machine and screen supplier handling only screens, this is the tragedy they are handling only specific item. 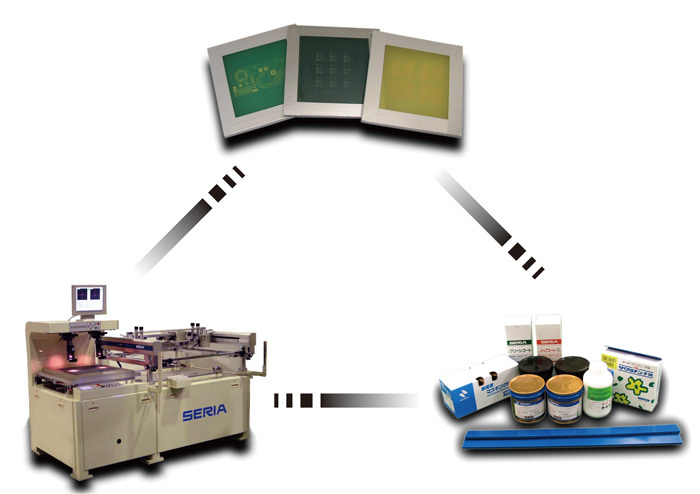 However, in case of SERIA CORPORATION, we are handling both printing machine and screen and both are produced and supplied by ourselves, thus makes no longcut to get specific reply. 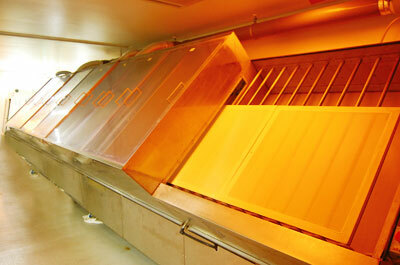 When you get SERIA printer, please also get screens from SERIA. The professional group to propose solution in shortest way, this is us, SERIA. SERIA can do! Only SERIA can do. 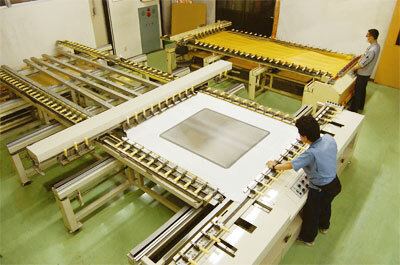 Established stencil making factory in 3 locations domestically and responding to customer's requirement JUST IN TIME. 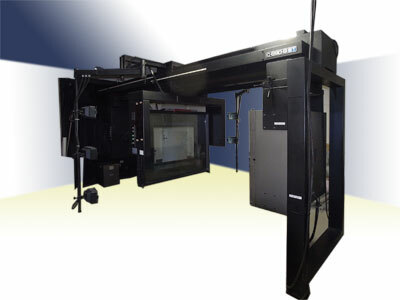 Unique equipment possible to design by original development, rich individuality with high quality, it is efficiently employed in production. 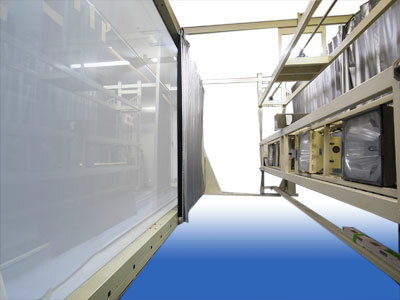 Various size screen is possible to handle on the same conveyor, from development to dry with high efficiency and corresponds to short time delivery order. 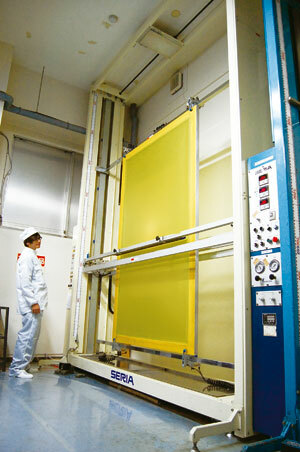 It is possible to coat thick film in shorter time efficiently compared with ordinally vertical type, also it is corresponding to mass production. Optical type scale camera which becomes rare now. Also possible to reduce old double size script. Needs for large-sized screen making are increasing these days. From conventional sign display, light guide plate or frame printing for LED TV going to enlarge its size, body stickers for automotive related, such as floor heating system for buildings, screen printing process is required in various categories. For those large sized screen making which unable to produce by others but SERIA can do!